We are big fans of the Schleich toys in this house. Over the last few years Elliot has built up a little collection which includes zoo animals, farm animals and even dinosaurs! 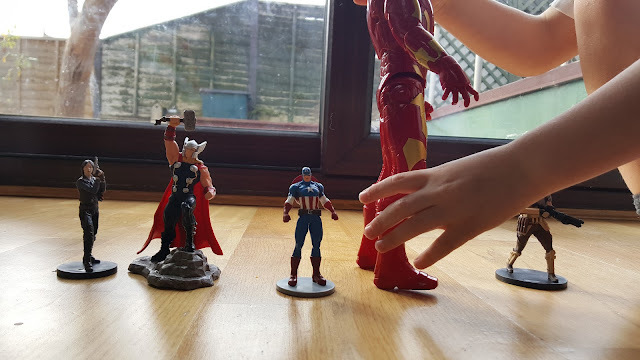 Recently we discovered that Schleich also make Marvel and DC Comic characters which was pretty exciting for Elliot who is a big fan of superheroes. To coincide with the release of the new Thor: Ragnarok movie (out in cinemas on 27th October), Schleich have added a familiar face to their Marvel team - the mighty Thor! Also part of this Marvel range are Spiderman, Captain America, Hulk, Black Widow, Dr Strange, Venom, Falcon, Iron Man and Green Goblin. "Thor, the Viking god, is almost invincible. 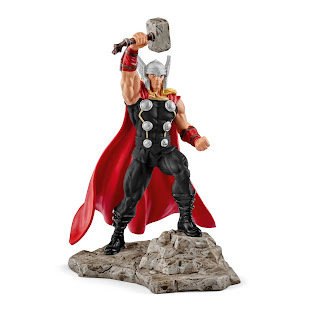 His mighty hammer, Mjolnir, allows him to control storms, thunder and lightning, and it always returns to the hand of its powerful master. He comes from Asgard. When his father Odin, king of the gods, sends him to earth, he becomes a member of the Avengers so that he can fight side by side with other superheroes against the forces of evil – above all, his hate-filled brother, Loki." 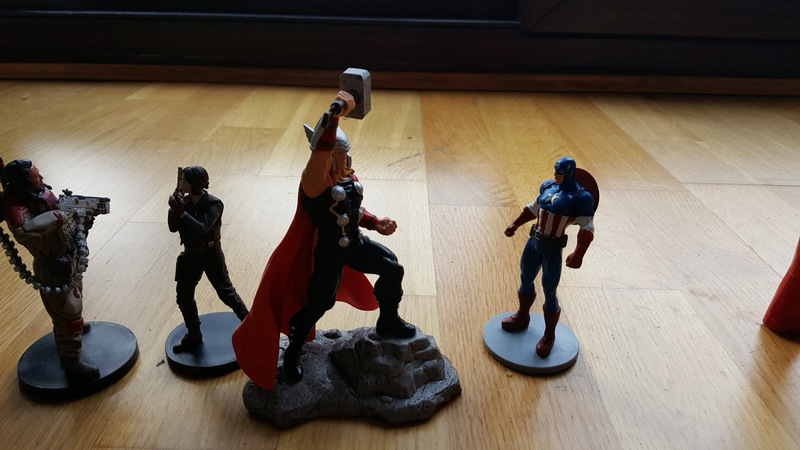 Schleich sent us out very own Thor to review so what did we think? Firstly, the quality of Thor is top class. All Schleich figures are lovingly handpainted with detailed modelling. The figure has a nice heavy feel to it and feels very well made. 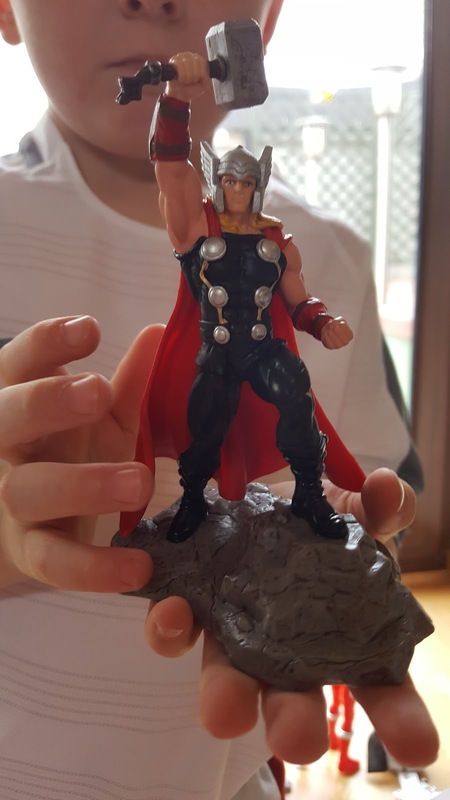 Standing with his hammer raised in the air and ready for action, Thor looks just like he does in the film! *Disclosure - We were sent a selection of schleich figures for writing this honest review - as always, all thoughts are my own. And we genuinely love Schleich toys! BACK TO SCHOOL ESSENTIALS - ARE YOU READY? !